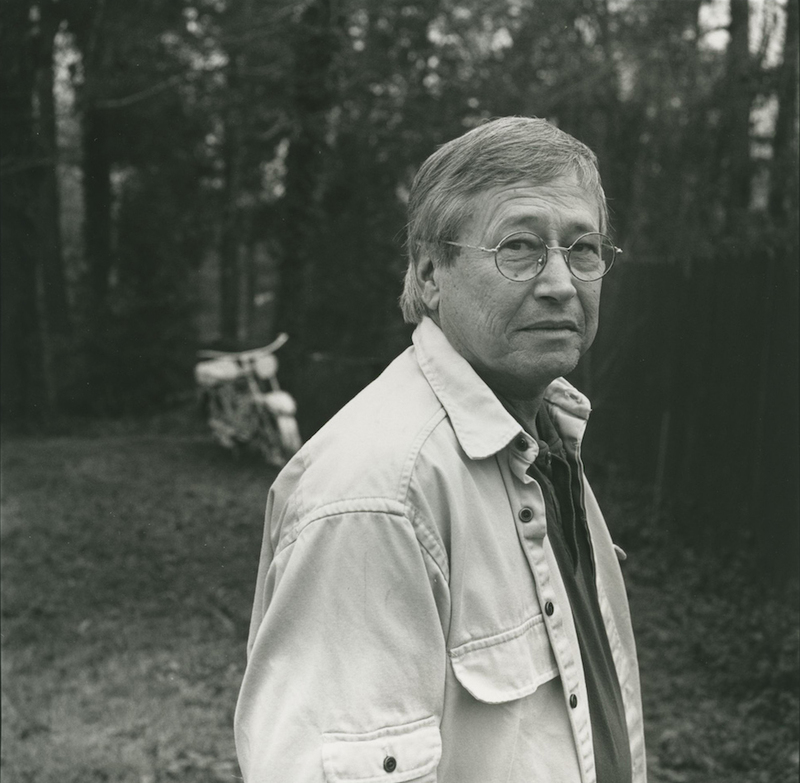 Acknowledged as a master of the short story and highly regarded as a novelist, Barry Hannah emerged in the last quarter of the twentieth century as one of the most critically acclaimed American fiction writers. He was born on 23 April 1942 in Meridian, Mississippi, to William Hannah, an insurance agent, and Elizabeth King Hannah, a homemaker. He grew up in Clinton, where his experience in his school’s all-state band later influenced both his subject matter and his style. While an undergraduate at Mississippi College, Hannah worked as a research assistant in pharmacology at the University of Mississippi Medical School in Jackson. After receiving a bachelor’s degree in 1964, he elected to follow his interest in literature and writing and attended the University of Arkansas, where he completed master’s and master of fine arts degrees. Hannah taught writing and literature at Clemson University from 1967 to 1973. His first novel, Geronimo Rex, was published in 1972 and was nominated for the National Book Award. The book won the William Faulkner award and received extensive critical praise. After the publication of his second novel, Nightwatchman (1973), an unsuccessful murder mystery, Hannah began to focus more on short stories, working primarily with Gordon Lish at Esquire. These stories were collected in Airships (1978), which brought him acclaim and the Arnold Gingrich Award for short fiction. Hannah wrote most of the stories while teaching creative writing at the University of Alabama from 1975 to 1980. Hannah then moved to Hollywood but was generally unsuccessful in his attempts to write film scripts. After seeking and receiving treatment for alcoholism, Hannah returned to the academic environment, holding writer in residence positions at the University of Iowa, the University of Mississippi, and the University of Montana at Missoula. In 1983 he was awarded a Guggenheim Fellowship and settled into a long-term position at the University of Mississippi. Although Hannah continued to battle problems with alcohol through the 1980s, he maintained his productivity as a writer, publishing a collection of short stories, Captain Maximus (1985), and four novels, The Tennis Handsome (1983), Hey Jack! (1987), Boomerang (1989), and Never Die (1991). Early in the 1990s he began talking openly about his problems with alcohol and noted that his early fascination with drinking came from an awareness that his literary idols—William Faulkner, James Joyce, and Ernest Hemingway—were all, in his words, “drunks.” When Hannah realized that he needed to give up alcohol, he feared that he would be unable to write without it. Those concerns proved unwarranted: a 1993 collection of stories, Bats Out of Hell, won the Faulkner Award for literature, while a 1996 collection, High Lonesome, was nominated for the Pulitzer Prize in fiction. The Fellowship of Southern Writers gave Hannah the 1999 Robert Penn Warren Award for fiction and invited him to become a member four years later. His 2001 novel, Yonder Stands Your Orphan, further solidified his reputation. Hannah married three times and had three children. By the end of the twenty-first century, he began experiencing major health problems, and he suffered a heart attack and died on 1 March 2010. His posthumous publications include a collection of short stories, Long, Lost, Happy: New and Selected Stories (2010). Although Hannah’s fiction focuses primarily on the South, his works have a universal appeal. His unique voice, his deftness with language, and his effective analysis of the human psyche through a fusion of the humorous and the tragic established him as a significant contemporary writer.